Q: Master has said, “Due to the change of the internal vibrations while we are practicing Quan Yin, new ideas will come up and new cells will grow. 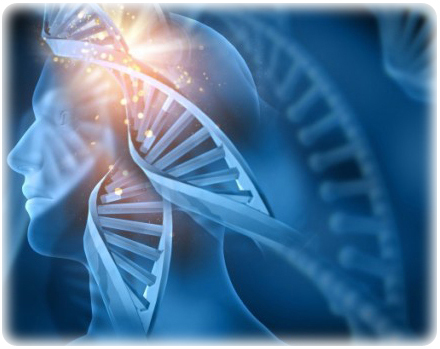 At that time, it is as if we were reborn.” Master, does meditation affect our DNA? M: Yes. Sure, it does. It does. Because normally DNA is just the fixed one, and they're burdened with all kinds of karmic information from the previous lives and from the parents. That's why in the Bible it even told us that we carry our ancestors' sins, remember? (Q: Yes, Master.) That's what it means. So what we do is during the Light and Sound meditation, the Light and the Sound will feed it, feed the DNA with more divine, more true information about who we really are: it's not the flesh that we inherit from the parents and not all the karmic-burden connection and record that we had in a former life, through the connection with the physical DNA of the parents, for example. The Light and Sound will tell DNA that “You are not that, no, no, no. The real inheritance of the DNA, the real owner of the DNA, is God,” for example like that, and keep feeding it, feeding it with more true information. Therefore, the DNA becomes different, has more information, and then slowly, slowly, the divine message, the true revelation, will replace all those garbage and dark imprints on the DNA about the past, burdensome, karmic consciousness, okay? It gives better information all the time and gives more positive, divine, full of love, bliss, happiness... The cells will get recharged and renewed and even new cells are born again and again because we are eternal normally. We normally could live forever if we want. So, the new cells will be reborn to replace the bad ones, negatives one will be replaced with the positive ones, etc., etc… And then, even whatever's left, the cells will be infused with limitless Wisdom, Light, Love, youth, and happiness and bliss, etc. Q: Master, is this why we notice that after initiation the person looks different, even physically? How does this work? M: Yes, yes. Because the cells changed, I told you. The cells, they are infused with more positive energy, more Light, more wisdom and more youthful information, more youthful energy. Everything is created with energy. After initiation or after meditation, the Light will replace the darkness in the cells, and the Light will reinvigorate again, renew and be filled with true information. It's lively energy, youthful energy, eternal energy.